So, Autumn has snuck up on us and it’s prompted me to focus on furniture and, dare I mention it, but the word that starts with C and ends in mas. There, I’ve done it. Whether we like it or not, it’s not such a bad idea to think about it early, so grab a cuppa and join me! I was at a toddler group the other day which involves some activities where little ones can be encouraged to be crafty (aren’t they always?) using outdoor materials. My eldest, James, loves it - he’d live outside if he could! We were handed an activity calendar (whilst the kids were slurping hot chocolate), listing all the fun crafty things planned for the coming weeks.One quickly caught my eye - making a wreath using collected items from a woodland walk. How wonderful I thought, a spark of excitement at the thought of heading towards the festive period. However, that was quickly quashed when listening to a few of the other Mums commenting that surely it was too early to be mentioning Christmas? I’ve actually heard this debate quite a bit recently- it was on the radio only yesterday: debating how early is too early to play Mariah’s ‘All I Want for Christmas is You’ (this is now an ear worm in my head) and the response from the listeners was hugely mixed. So how early is too early? Here at Duck Barn, we have to start thinking about Christmas in January (yes, really!) Tracy, owner of DB, has only just dusted off the glitter from last year and then dives head first into handpicking the beautiful stock ready for 12 months’ time. Small businesses like ours look to Christmas as our busiest time, so we have to be prepared, but when do our customers really like to hear about it? I’m going to be controversial here and say that it’s never too early to start thinking about the big festive day. What?! I hear you cry! Bear with me… For so many (yes, I’ve been guilty) who leave shopping to the last minute, causing stress and panic and, not to mention, blowing their budget, now is the time to be starting early, spreading the cost and really considering what do I actually need? When talking furniture what are my go to pieces? Well, I’m a sucker for a storage solution. They are just so easy at helping you organise a space! 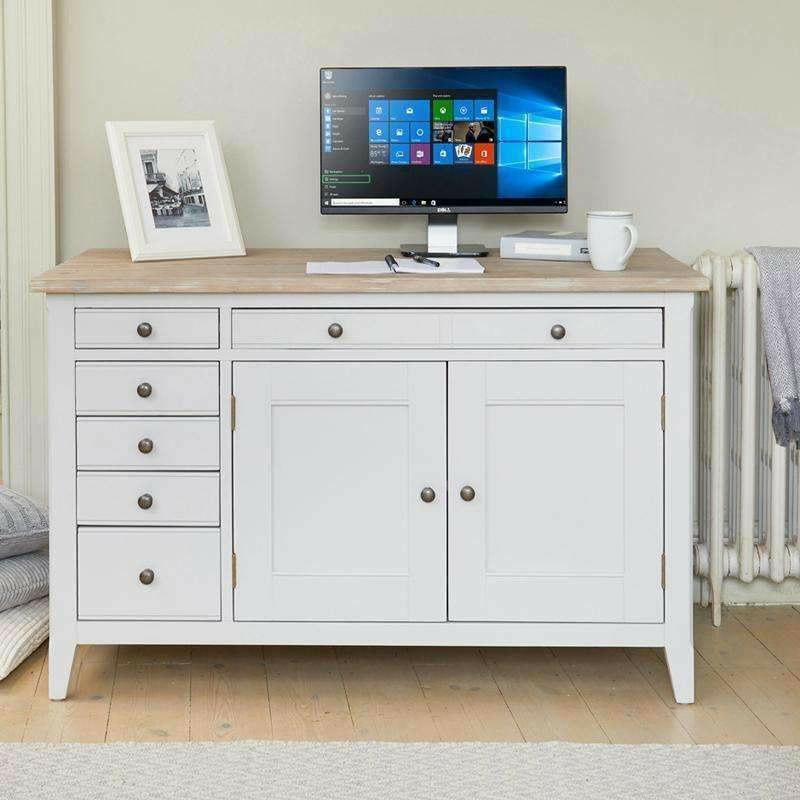 Our wood and basket range offers plenty of varying solutions including sideboards, chest of drawers and tall boys. 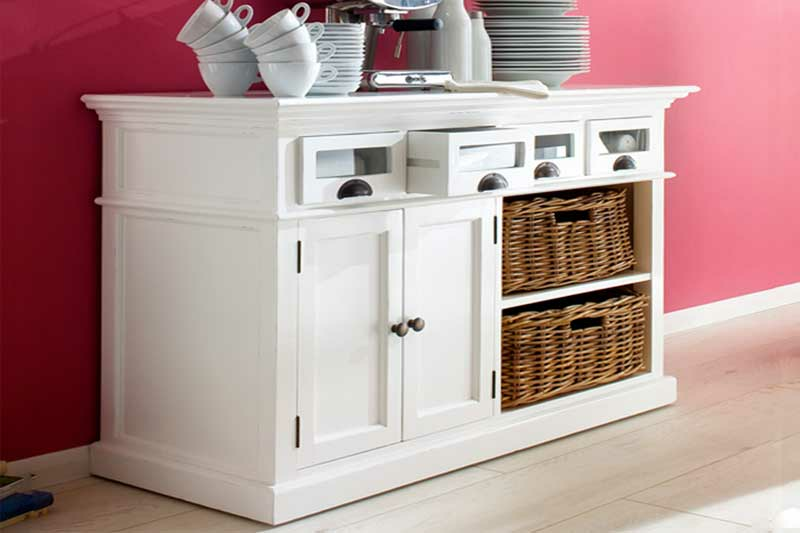 The Halifax white painted kitchen buffet unit (pictured above) is an essential item as it’s so versatile with both its closed cupboard and rattan baskets whilst also having 4 glass fronted drawers to house cutlery, drinks utensils and table decorations. It also fits perfectly into a kitchen or a dining room, offering further work top space for a coffee machine, plates or an area to serve from when you have guests. It’s also white, which brings such a clean and bright finish to any interior space and solid wood too – no assembly! That’s got to be a relationship saver during a stressful time! 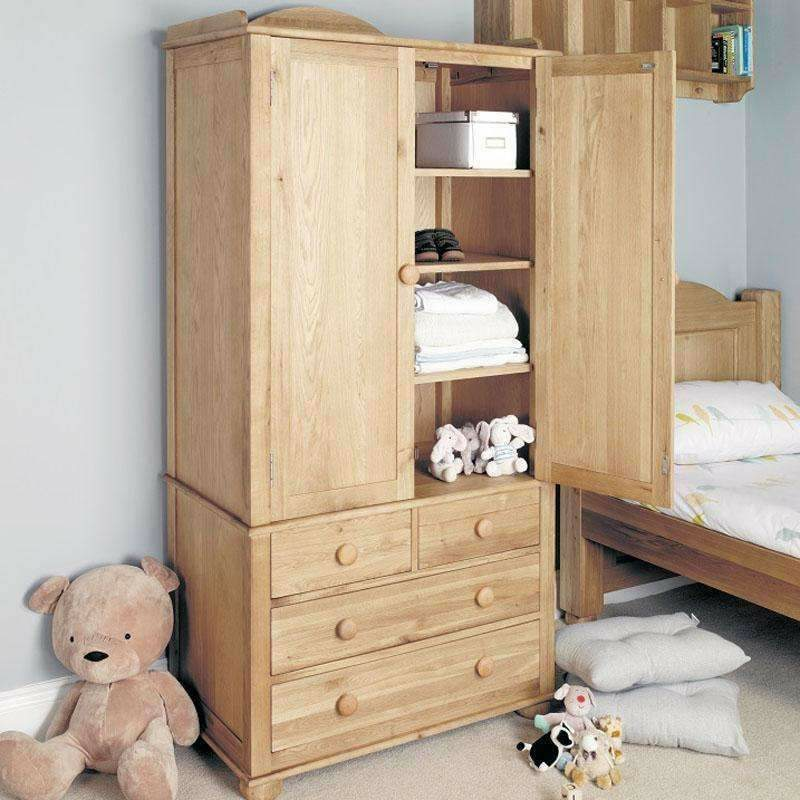 Another of my favourite ranges is the Mobel Oak collection. Not only are these items crafted from stunning solid oak, which allows you to bring the outside inside (something that is at the very core of Duck Barn’s inspiration), they are stylishly practical. The range offers a truly fantastic choice of furniture solutions, from the extra large shoe storage cupboard (pictured below), perfect for storing all your winter shoes, boots and added sections for umbrellas to stunning home office furniture including a hidden home office desk, which is just an incredible answer to hiding all those technical items, including your printer! 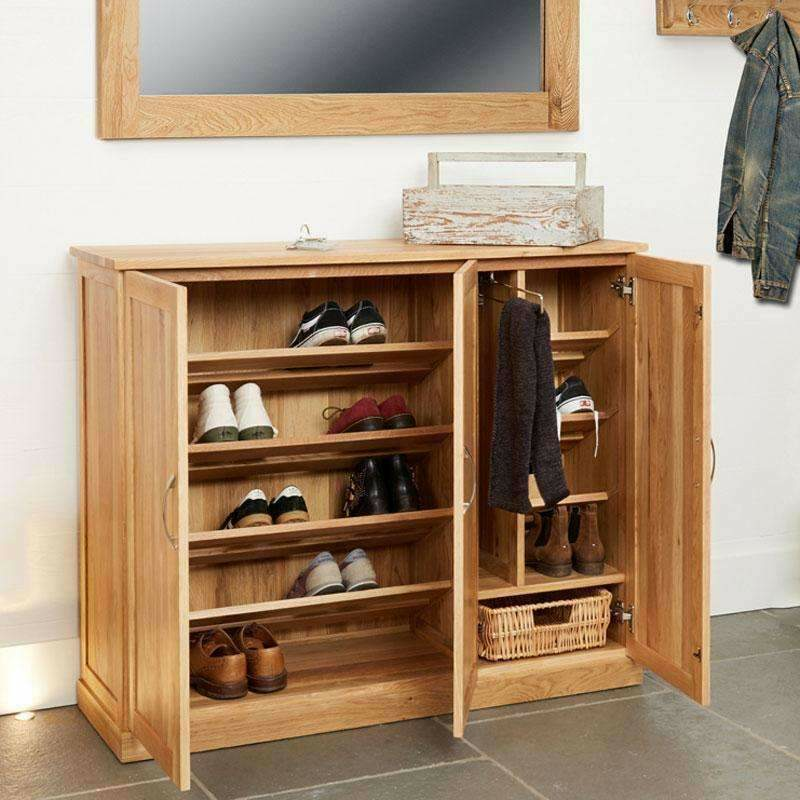 Mobel Oak Extra Large Shoe Storage Cupboard- perfect for all your outdoor clothing accessories! If you’re hosting Christmas, then maybe a new dining room table and chairs to gather around together, tucking into the Christmas lunch or playing board games on afterwards (just NOT monopoly!) Families have grown used to eating together outside during the Summer and it’s easy to go back to using the breakfast bar or coffee table in the living room. I, somehow, have 10 coming for Christmas Eve which seemed like a fab idea at the time (I know, I’m mad! ), so a bigger table to fit everyone would be perfect wouldn’t it? I also know that a table isn’t just for Christmas… it might then encourage more family time too! 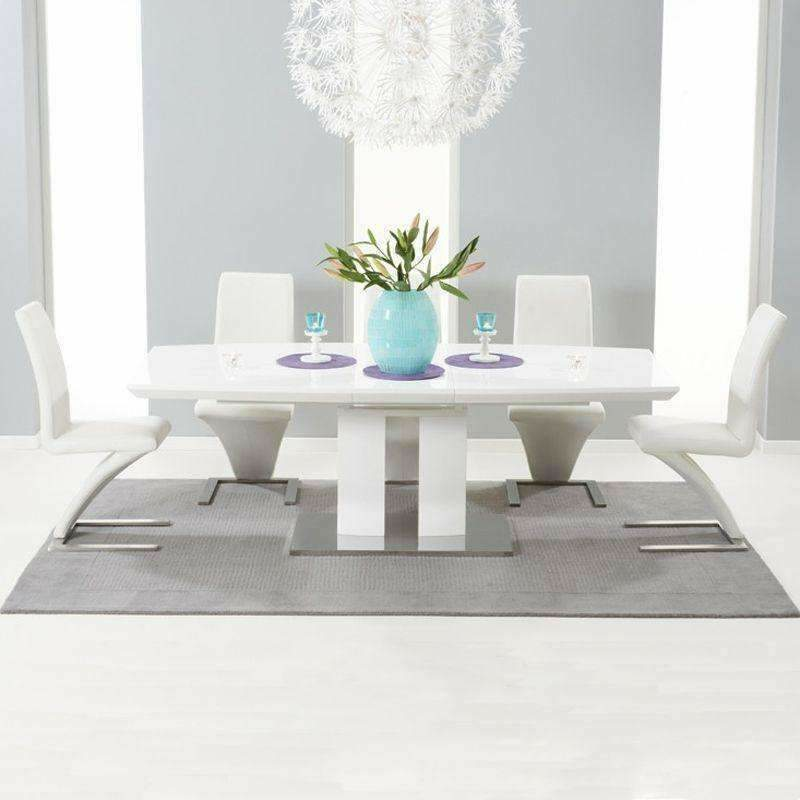 I really love the striking and modern Rossini white high gloss extending dining table (pictured below). 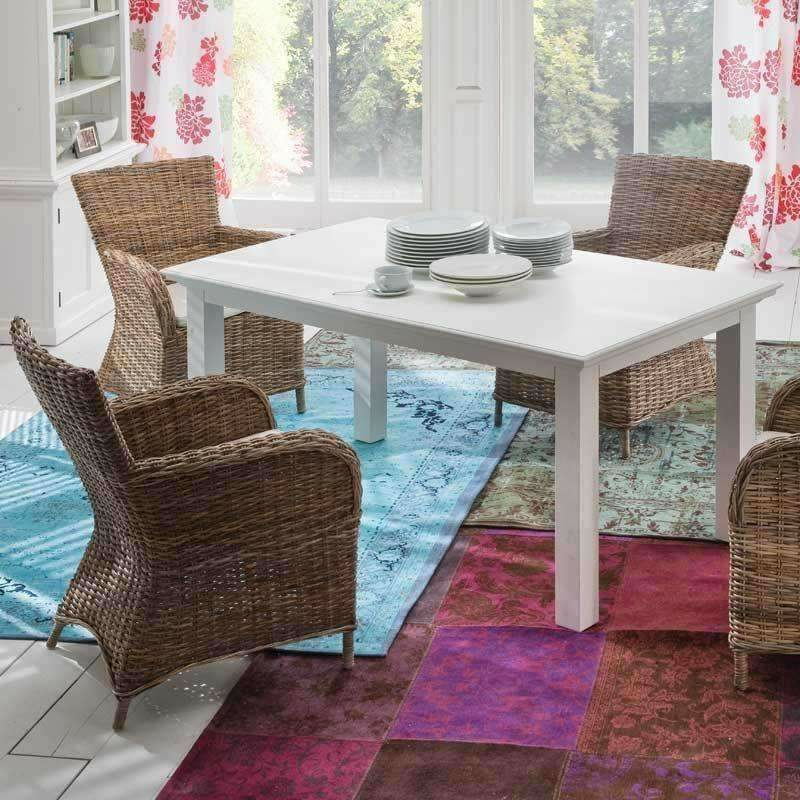 It is perfect for entertaining as it has a built-in extension panel so that the table easily alters to a bigger size; it also has no corner legs as it’s supported from the middle, which makes sitting people around it far simpler! Whatever your décor, I guarantee we have a table to suit- just go have a browse! Our furniture ranges at Duck Barn have all been carefully selected by us to ensure the highest quality is met and that the delivery teams take care and pride over their furniture so that they arrive with you on time and undamaged. Available to order now and, when in stock, delivery is just 7 – 10 days so plan early to guarantee stock availability and we can get them to you before the big day, just like Father Christmas himself! So, happy browsing and if you do need any advice, help with a product or you’d just like to share furniture that you’ve purchased from us in your home, do give us a shout - we’d love to hear from you! Follow us for new products & offers, competitions and the odd fluffy duck. Please note: comments will be approved before they are published. Mum’s the Word… Finding the perfect Mother’s Day gift. Who Are You Quackers About?